This was my first trip to Costa Rica. It was a country that had been on my list for many years and so I was excited to get there and see it for myself! On arrival into San Jose I was met by the Turtle Conservation project’s lovely driver who took me to the hotel in town where I’d spend the night. Having this first night in the hotel really helps with getting over the jet lag. Early the next morning, the journey to the project began. I was picked up at the hotel and taken to the bus station where the driver bought the ticket and made sure that I got on the right bus. It’s around a 4 hour journey with a bathroom break but the bus is comfortable and there’s some lovely scenery. Then it was a quick change onto the final bus to take me to the project. The second bus journey is much shorter (around 1 – 1.5 hours) and is a bit of a bumpier journey! On arrival at the bus stop I was met by the volunteer coordinator Elise and Jack, one of the research assistants, who showed me to the volunteer accommodation. 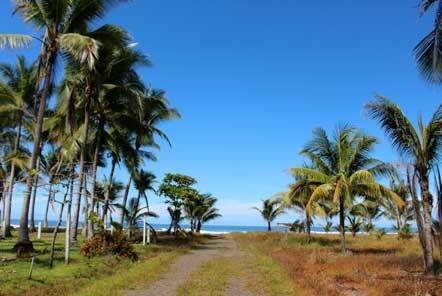 What immediately struck me was what a lovely location the project is situated in, just metres from the ocean. I was shown around and Elise gave me a presentation about the project and volunteers’ roles whilst they are there and what the data recorded is used for. This is really interesting and the staff are always more than happy to answer any questions that you might have. On arrival you are also shown the rota board so you can see what you will be doing in the upcoming week. 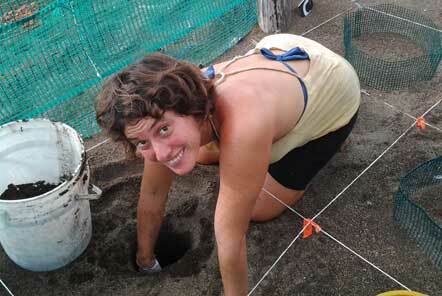 My first job was to learn how to dig a turtle nest on the beach. The aim is to dig one that is very similar to how a turtle would dig one to ensure as many successful hatchlings as possible. This involves digging a deep hole by hand (about the depth of your forearm), and then creating a ball-shaped area at the bottom so it’s wider at the bottom than at the top. This way the eggs can be placed into the bottom and when they hatch, they make their way up the narrower section before emerging to the surface. 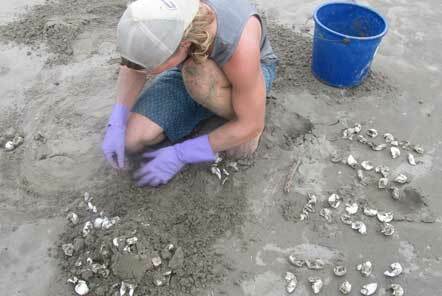 Volunteers practice this on the beach and then once they have learned this skill, they can then dig nests in the hatchery area. When volunteers find a laying turtle on the beach, they can then collect her eggs and place them in these nests to allow them to incubate before hatching. That afternoon I also got to watch a nest excavation which is when the baby turtles have hatched from a nest in the hatchery and then the nest is excavated and the findings from this are recorded. The research assistant was counting the number of egg shells and also any additional findings such as unhatched eggs; the findings of this give the project a successful hatchery rate (comparing the number of eggs that were placed into the nest to the number of hatchlings that were born and released). 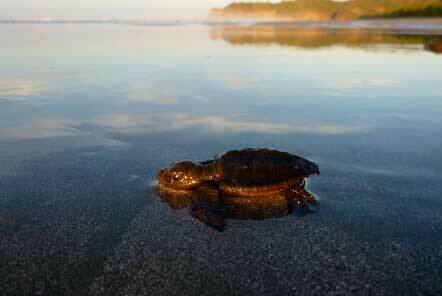 My first night patrol had a great start as we released 5 hatchlings onto the shore. You will be shown how to do this to ensure that you do not place them too far away from the water as it can be tiring for them to make their own way to the sea, and not too close to the water which risks them being taken by the waves before they are ready. One of them was a bit slow to move so we stayed until we watched it get fully into the water. It was interesting learning about this and to learn that they will go in the direction of the strongest light which needs to be the moon, to ensure they’re going in the right direction. This means that you need to turn your head torch off and ensure you don't release them close to any unnatural light. Unfortunately we didn’t see any turtles on this patrol but it was still an enjoyable evening walking the length of the beach seeing fireflies and bioluminescent algae which is beautiful and gives the impression that you’re walking on the sky! It was great getting to know the staff, research assistants and other volunteers during breaks between jobs and on one of the days, the volunteers headed into the local town to watch some football. Due to the nature of the project and the shifts, there is time to relax in the hammocks, take a walk along the beach or read a book. The next day, one of the research assistants returned from checking the hatchery with a big smile on his face and said “we have babies!”. I went with him and there was a mass of dark grey writhing in one of the hatchery plots. There were 86 hatchings which we counted into a bucket (103 eggs had been placed in this plot so it was a good success rate). 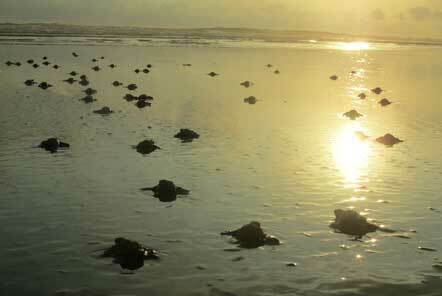 We then walked to a suitable area of the beach to release them just before sunset. This is a good time for them as they should not be released at midday due to the heat and this puts them at additional risk from predators. It was a beautiful and very special experience that I won’t forget! My next night patrol was an early one (7pm – 10pm) and this time we headed north on the beach. This time I was with volunteer coordinator Elise, unfortunately we didn’t see any turtles which may have been because it was still a little too light and this risks exposure for the turtles. I learned a lot from Elise that night and it was interesting to hear her past experiences there as well as discussing our shared love of documentaries! Jack spoiled us the next morning with the most delicious banana pancakes for breakfast! On this day, between hatchery shifts, I helped the team make things for the project’s Christmas party that they were putting on for the local children. We made a piñata and a skittle bowling set made out of recycled bottes and painted to look like pins as well as a coconut for a bowling ball. 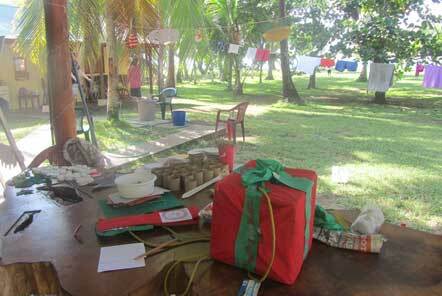 There was also a lot of preparation of items that could be used to make Christmas decorations and cards. It was great to see the creativeness of the team using recycled materials and creating such great decorations and activities which the children could then make and do later. My next night patrol shift was later and then I was on hatchery shift from 1am – 3am and so I slept in the hammock between shifts. One of the things that I really liked about the project is that there is a real sense just before and during night patrols of rooting for one another to see a turtle. The next day I headed to the local town with the volunteers where they had the opportunity to pick up snacks and supplies for the week and can catch up on internet at the project office with a delicious coffee. The project have started being able to sell coffee so I bought some as a present to the team back in the UK office which we’ve been enjoying since! It was then time for me to head back to San Jose, I had really enjoyed my time at the project and was glad I wasn’t leaving Costa Rica just yet! To find out more about this project and how you can join, click here.